The Los Angeles river was the primary reason for settling there, but the actual location of the pueblo was relocated a couple times in the early years due to heavy rains which caused the river to flood over. Eventually small living structures were erected and land grants were given to the pobladores and soldiers. Larger acres of land later gave way to emerging ranchos which became the norm as the town spread. Luis Quintero lived out the rest of his life in Santa Barbara, but some family members eventually ended up in Los Angeles. A granddaughter of his was the widow of a Spanish soldier, Vicente Ferrer Villa, who had passed away whereby allowing her to inherit the land that was offered to him for his service in the military. 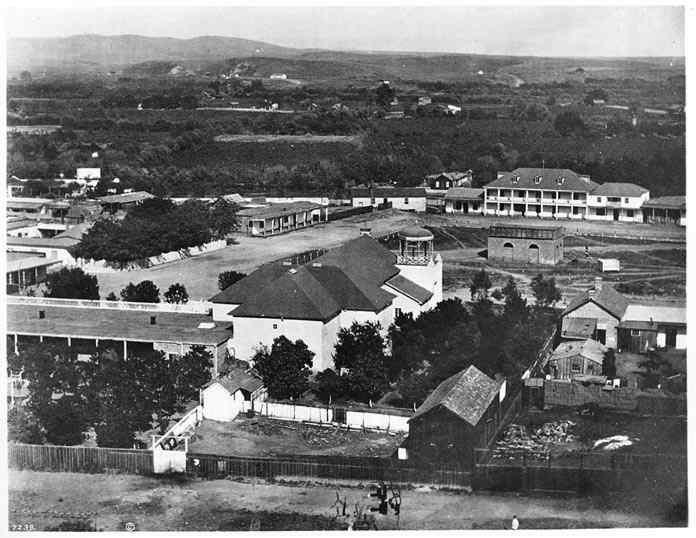 In 1852, that 4,539-acre ranch called Rodeo de las Aguas (Meeting of the Waters) was granted to María Rita Valdés de Villa. 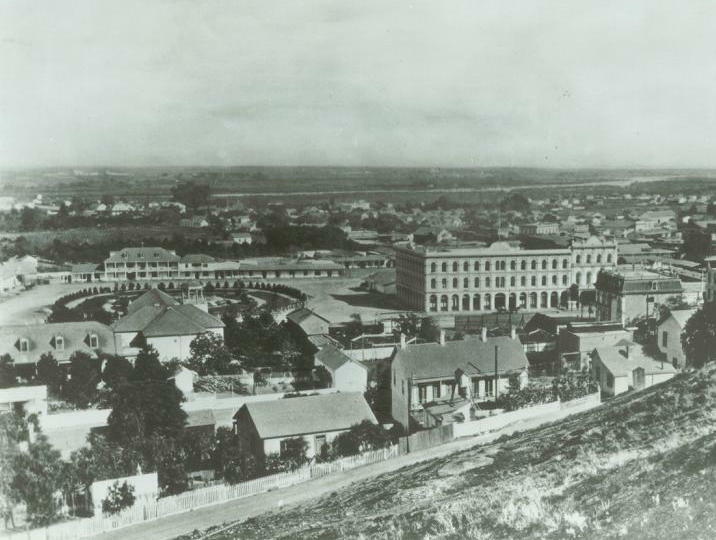 That land eventually became the city of Beverly Hills. A Spanish soldier named Manuel Nieto was given 300,000 acres of land for his military service. Later land disputes with Mission San Gabriel cost him nearly half the land, but he retained an area stretching from northern Whittier to the Pacific ocean in the south, and from the LA river to the west and the Santa Ana River to the east, which includes an area that would become Long Beach, my hometown. His children would inherit his land and daughter Manuela Cota received 27,000 acres of the area known as Rancho Los Cerritos. Upon her death, the property was sold to Yankee-settler John Temple who built the two-story adobe structure, the most expensive home in Southern California at the time, which still stands today and open to the public for tours. A little house on Nelson Street in San Pedro has lots of history for my family: my father Albert Leon IV, his mother Pauline and Felix's sister Bea were all born there! The current owner of the house has been trying to sell it for years as it now sits in an area that has since been developed commercially. 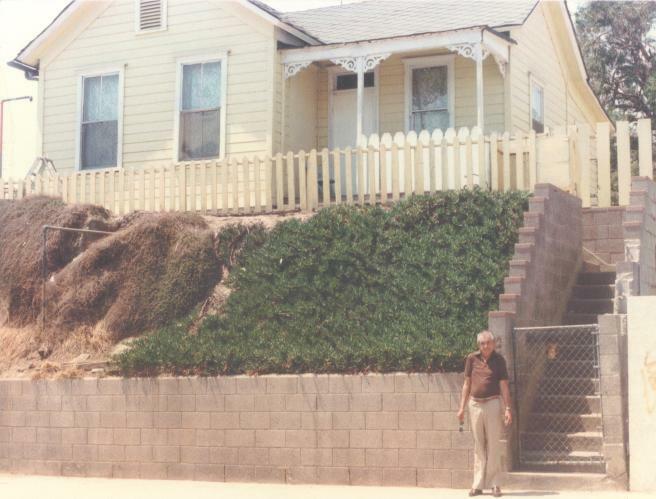 The San Pedro Historical Society wants to preserve the house for which laws prevent it from being demolished. At one point Felix was offered the house as a gift, but could not find an affordable empty lot to relocate the house to. A couple years ago the same deal was offered to me where my wife and I experienced the same problem. Today the house continues to be rental property.